stay put and let comfort come to you. Easily adjust the temperature by creating preferences for home, away, sleep, and vacation. We set your thermostat to automatically adjust when you’re 1 mile from home. When your thermostat battery gets low, you will be alerted on your phone. 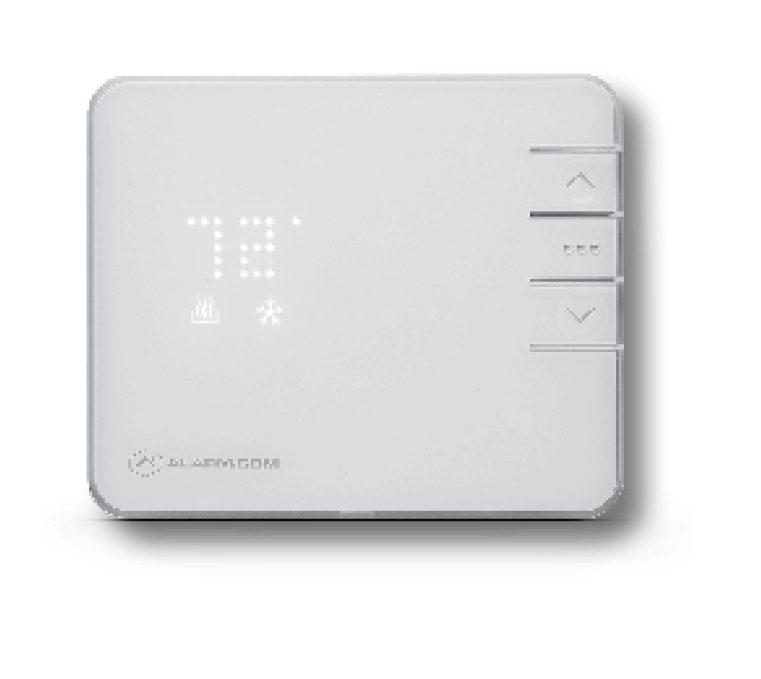 Our smart thermostat by Alarm.com represents the next generation of connected devices. 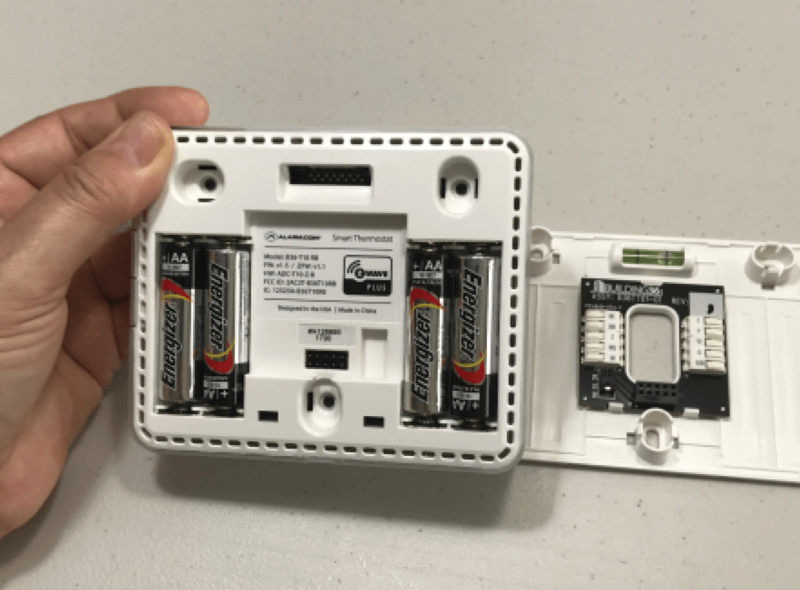 The smart home automation thermostat offers remote access and control, custom schedules, location-based automation, instant alerts and responsive savings. Intelligently integrated with one of our control panels, the smart thermostat can respond to inputs from devices throughout the home to provide more accurate temperature adjustments and a complete home automation experience. Our home automation thermostat is built specifically for the smart home. 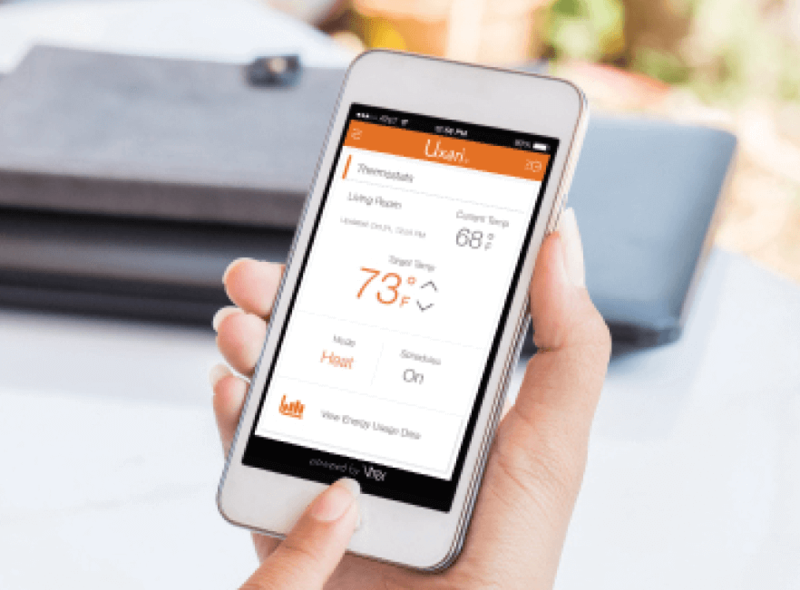 It’s integrated fully into our smartphone app, letting you control your temperature alongside your security panel, lights, locks, garage door and more. "For the most part, the equipment is very great. It's basic, but for my little home, it's just what I need. Besides, the installation process was very quick and easy."